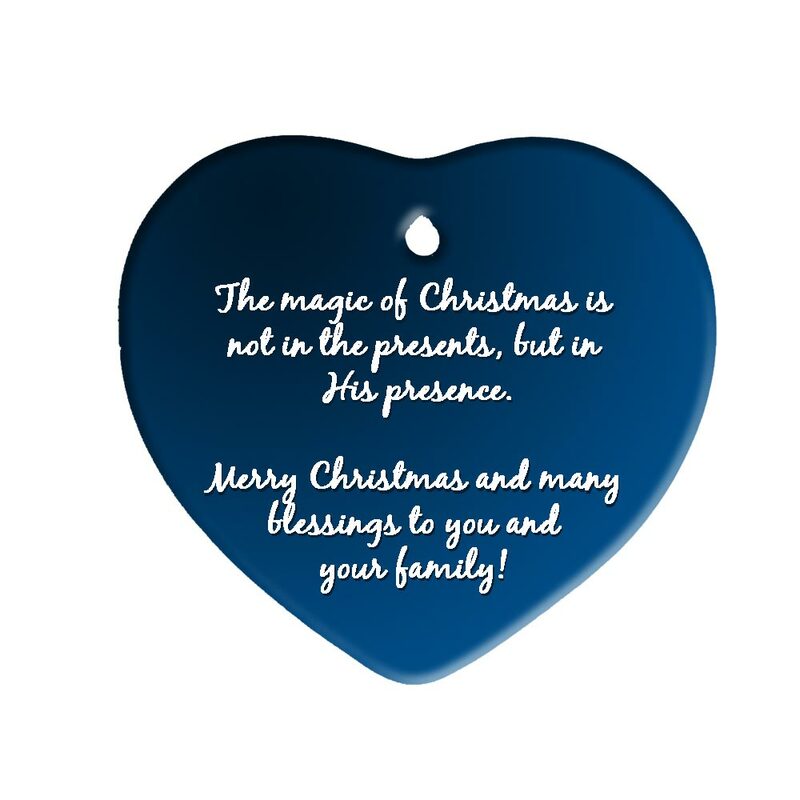 This ornament is very beautiful and the inscription was very clear and easy to read. We were able to purchase these at a very reasonable price and give them to our volunteers as a Christmas gift. I buy these ceramic ornaments for our church choir every year. They always arrive unbroken, carefully bubble-wrapped. The image is a bit faint, however. 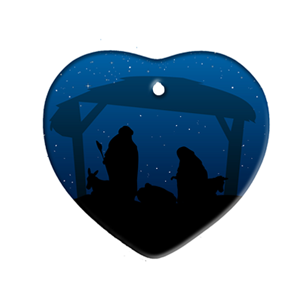 But it is fine during the day, and when lit only by the lights on a Christmas tree, it’s a blue heart.